A FRANTIC STAMPER DIE DIE..
and then used the inks to blend the edge. and then stamped the flower over the top! 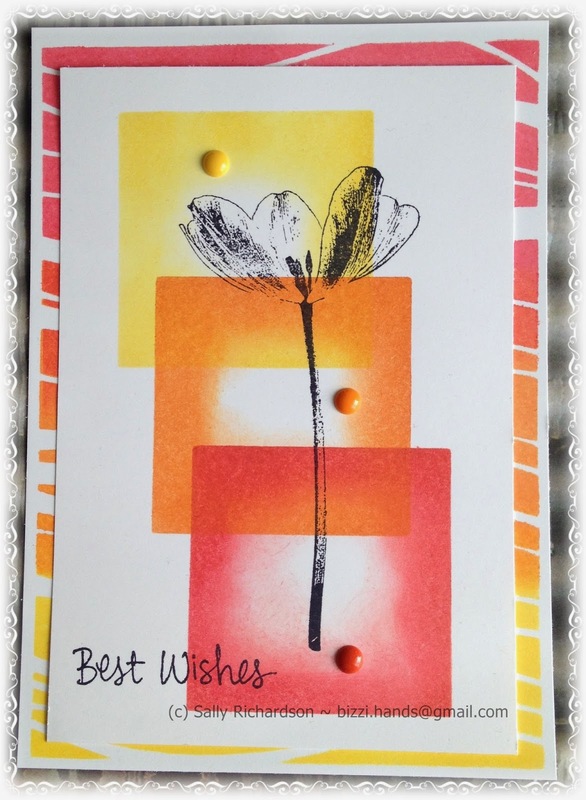 Hi Sally,thank you for the comment on my blog and the paper I use is Langton Watercolour Pad Extra Smooth and I stamp my images with archival ink by ranger in coffee colour.Love your masked card and summery colours.